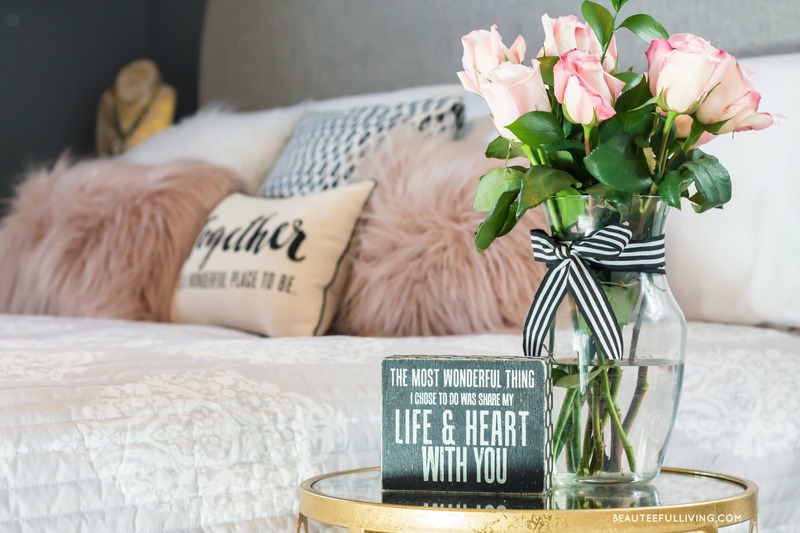 One last look at the inspiration photos from Pottery Barn Kids and PB Teen. I combined elements from each of these photos. Let’s start with a proper “welcome” to Ellie and Lauren’s shared bedroom. 🙂 I love how they chose to share a room together despite being able to have their own separate rooms. With so many photos to share from their room, I thought I’d go over section by section, starting with the view you see as soon as you open their bedroom door. 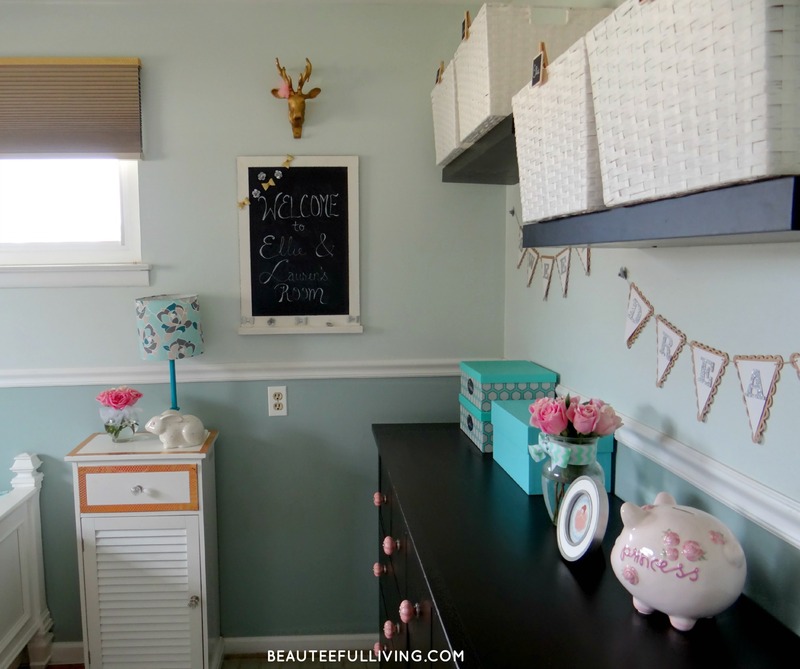 These white baskets and pretty teal boxes keep this area from looking cluttered. I used them to corral all those little stuffed animals and miscellaneous craft items. 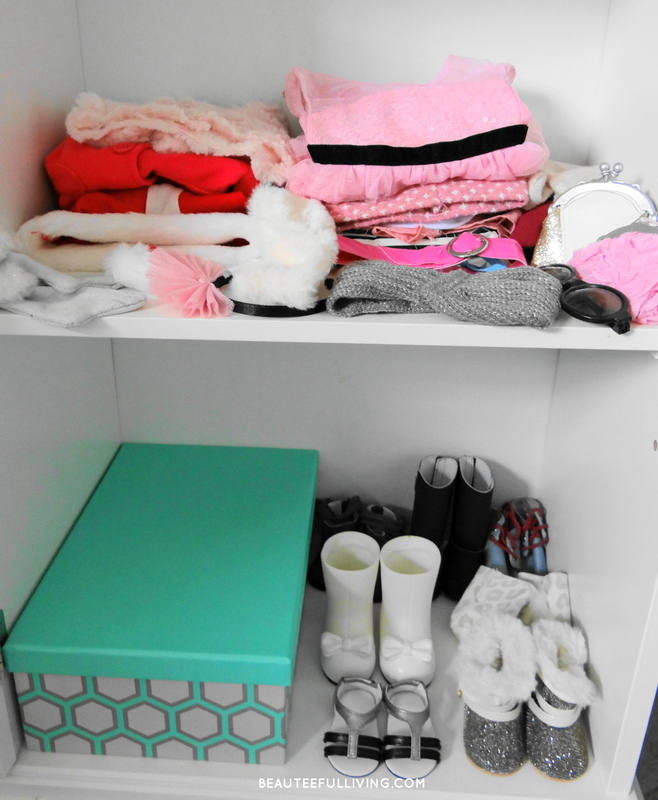 I love how this IKEA dresser can hold so much clothing. Replacing the original drawer pulls with the pink vintage-looking knobs was a good idea! 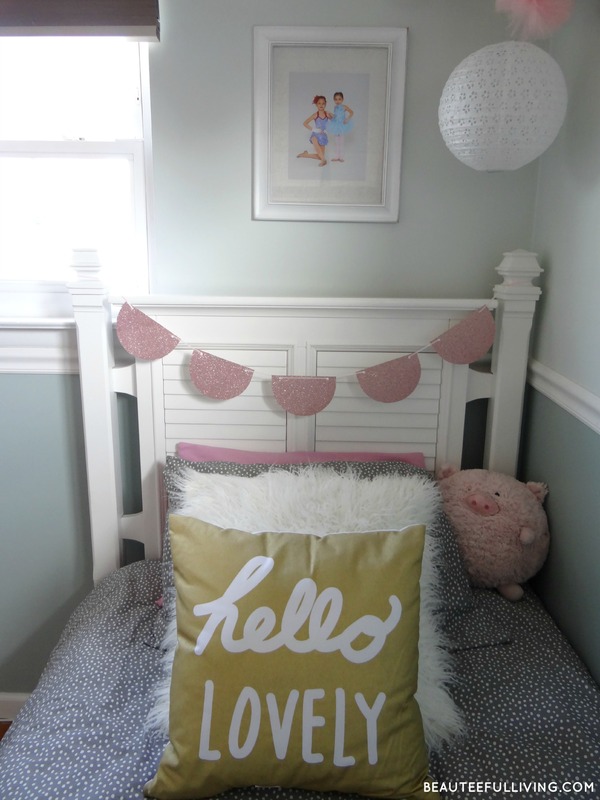 By the way, the bunting sign above dresser reads “Sweet Dreams.” Hard to tell with the silver, glittery letters. Expanded view from other side of the room. Love that Ellie’s keepsake Tiffany & Co piggy bank is finally on display. I’ve kept it in its original box all these years. The strips that you see on top of the cellular blinds and around the nightstand came from a Washi tape I bought recently. 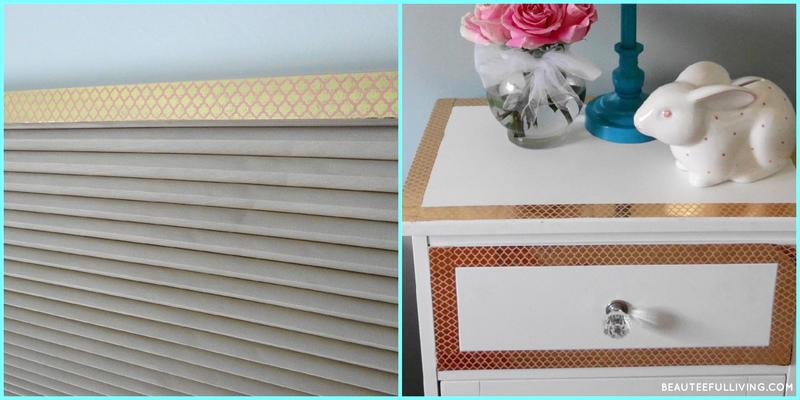 Just another way to tie in hints of gold to their “modern girl chic” bedroom. Now, a look into their BED area. My favorite part of the room! Would you believe I got that accent floor mat on clearance for only $5.99 at Kohls? Can’t forget the ceiling fan in the room. Like I said in last week’s update… a chandelier would be amazing for this space but this ceiling fan is a must for summer months! We actually run our ceiling fans in our bedrooms year-round to circulate air. I love doing DIY projects whenever I style a room. 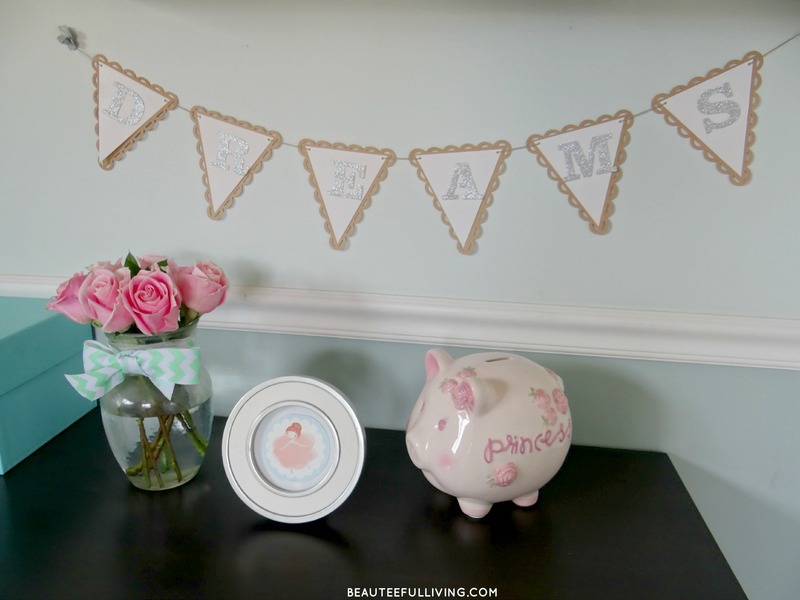 I made these pink tulle pom poms along with the scallop bunting sign. 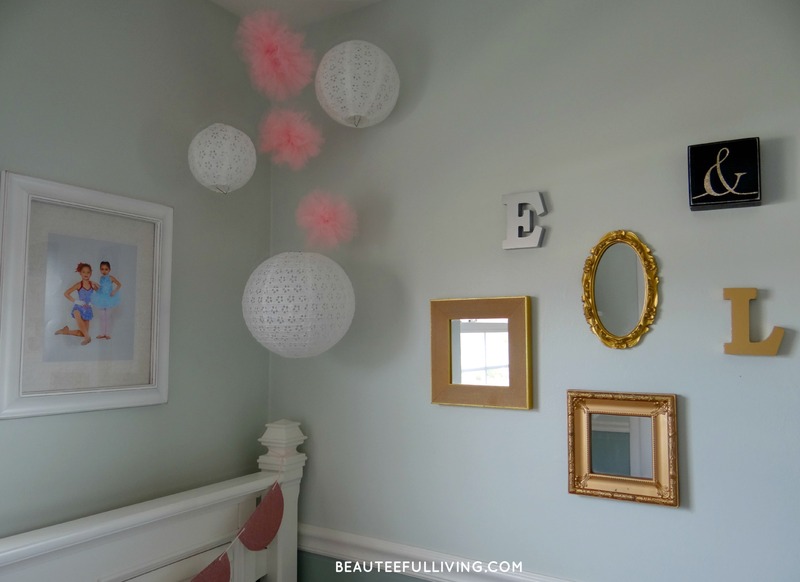 Don’t you just love those hanging paper lanterns? I’ve been eyeing them forever in the wedding section at AC Moore. Love the feminine eyelet detail! I was so giddy with excitement after I finished this mini-gallery wall. I bought these mirrors for only $5.00 at a local flea market. 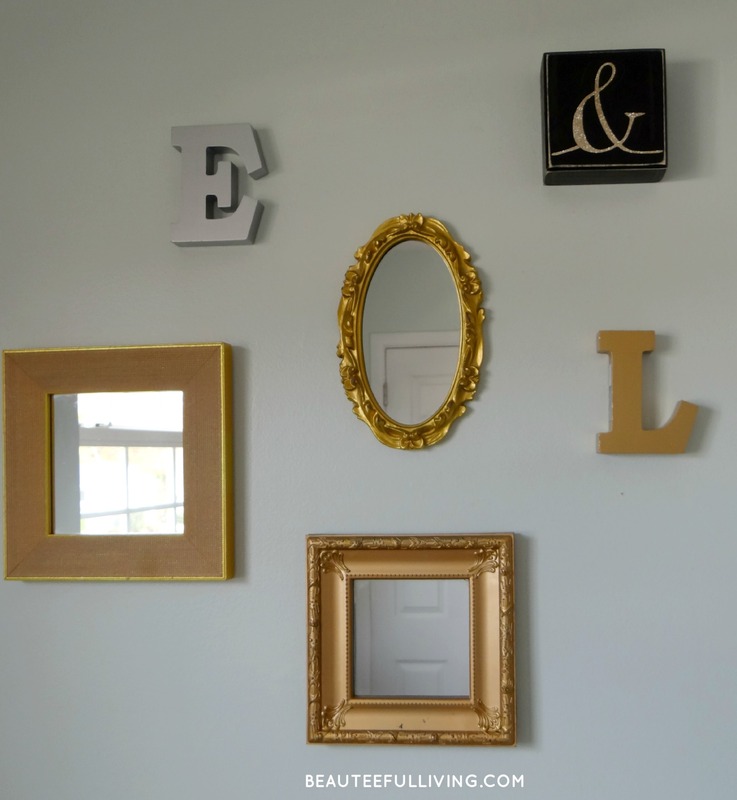 The “E” and “L” letters were purchased at Michaels. How cute is that “&” sign from Kohls? Loving this “Hello Lovely” pillow I found at Target. It’s always a big commitment to hang things on the wall! 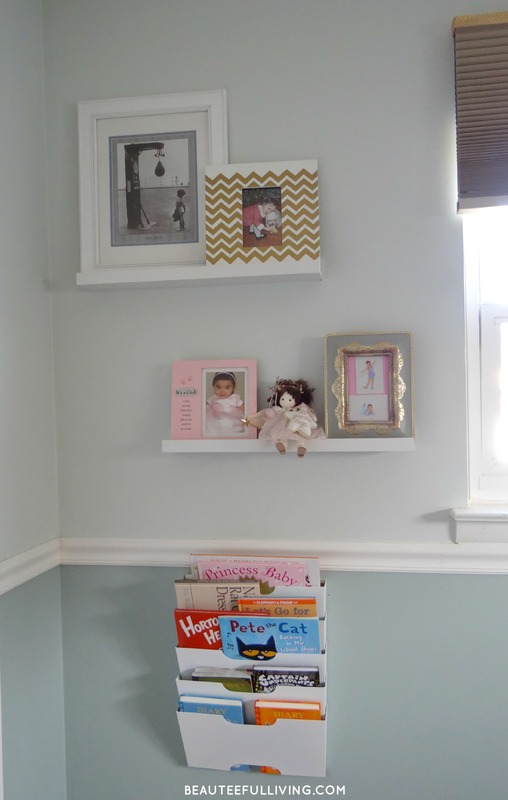 The small wall shelves and hanging files from IKEA were perfect for this narrow wall space. SIDE NOTE: The vintage print of the little girl staring at the boxing bean bag is symbolic to me. It reads, “Aim higher.” When Ellie (my oldest) arrived and I discovered I was a mom to a baby girl, I knew I had a big responsibility. As her mother, I am likely the woman she will learn from more than any other female figure in her lifetime. I want her to be proud to be a girl and to know that she can “aim for anything” and not be concerned that her chances of achieving something is any less because she is a “female.” Lauren, our youngest, needs to know that as well. 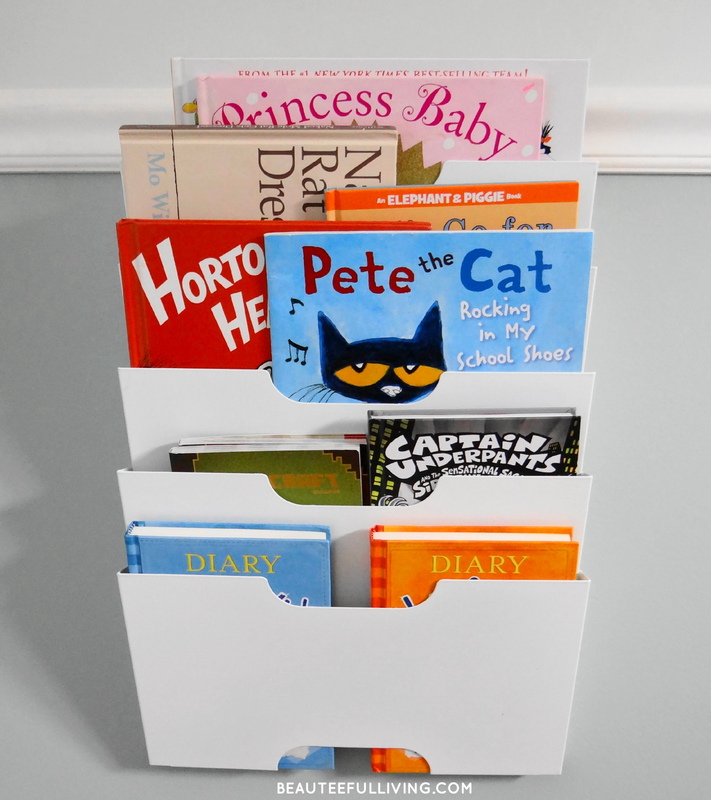 Most of their books are stored in the kids’ playroom downstairs. On a weekly or bi-weekly basis, we will be rotating these books for others in their bookshelf downstairs. Our typical bed time routine involves Ellie reading a book out loud to Lauren and me. Afterwards, I would select 1 book to read to the two of them before we kiss and hug good night. Here, my oldest is reading one of her favorite Mo Willems’ books. 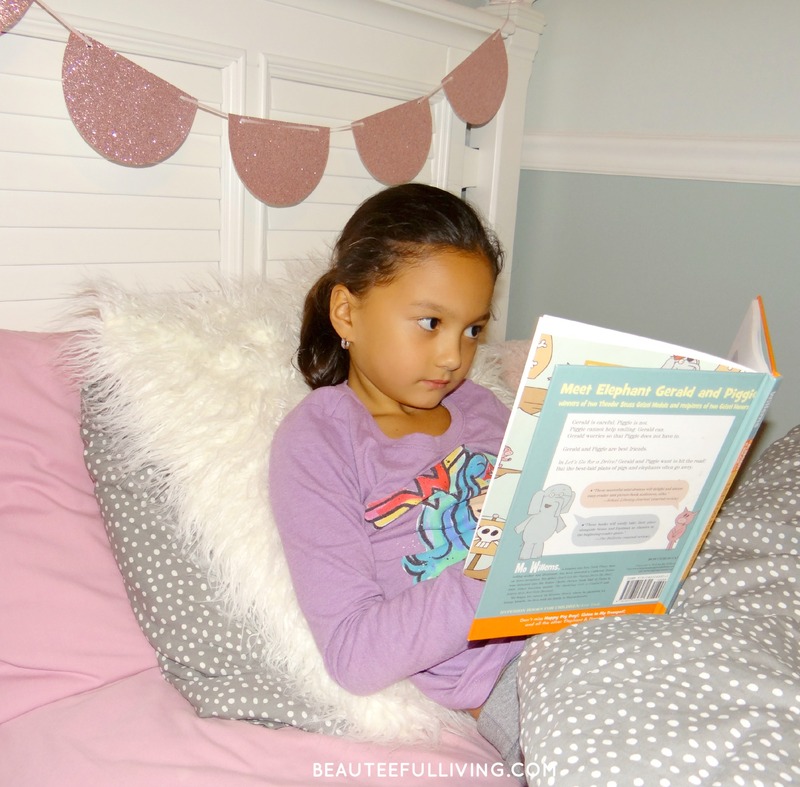 She also loves other quirky books like “Diary of a Wimpy Kid” and “Captain Underpants.” Too funny! Here’s the last area to reveal! 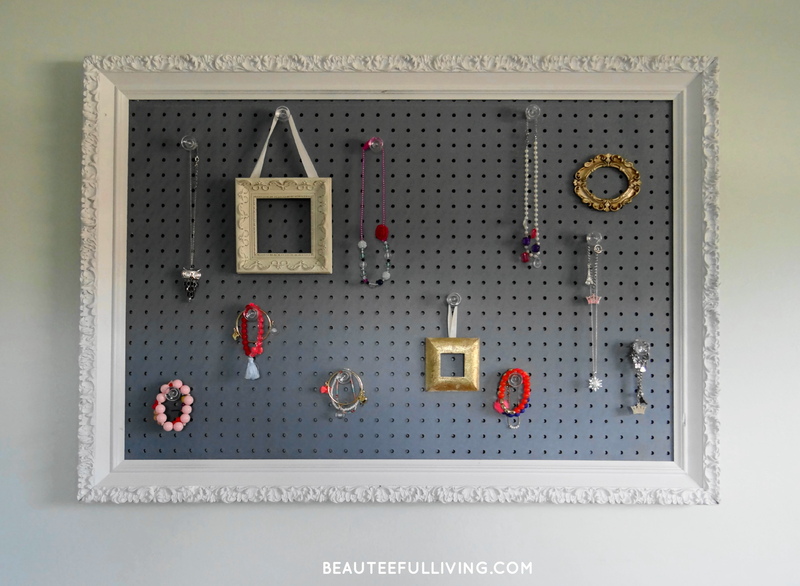 One of my proudest and favorite DIY projects for this room involves this framed pegboard. I will share a tutorial on this project in a future post! I love the ornate details of the frame (so shabby chic)! The girls don’t typically wear jewelry with their outfits. But when they do, they can easily spot which necklaces and bracelets they want to wear. Nothing like hanging a decorative frame inside a frame. So fun! 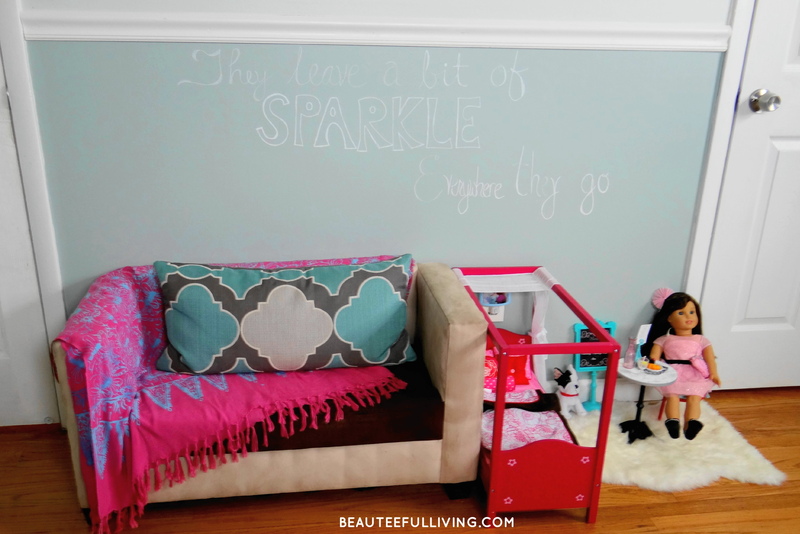 With an erasable white chalkboard pen, I wrote “They leave a bit of SPARKLE everywhere they go” on this wall. I just love sweet sayings! If you read Week 5’s update, you would’ve been introduced to Lauren’s American Girl doll, Grace Thomas. Here she is sitting by this cute bistro set. 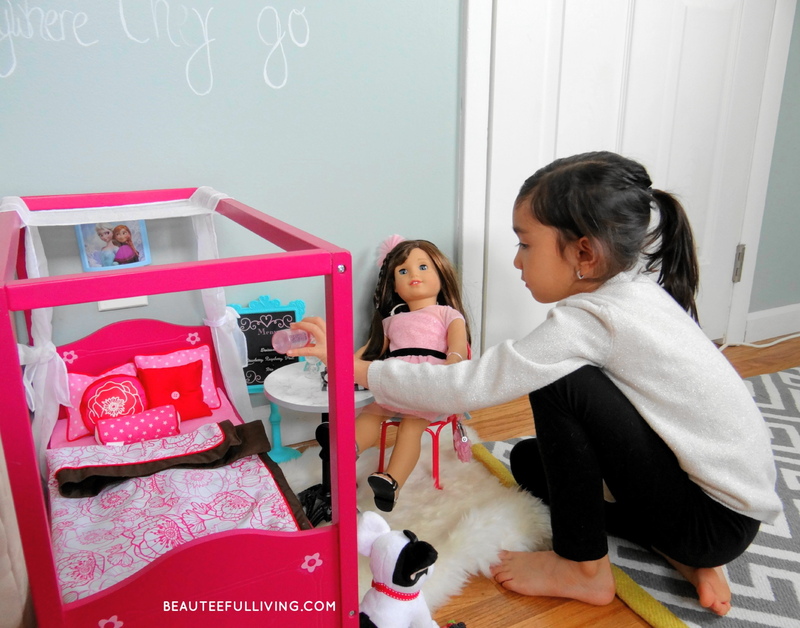 Lauren loves playing “pretend” with her dolls and accessories. I hope this stage lasts as long as possible! Growing up too soon is over-rated. Kids should live in “imagination land” for as long as possible! Here’s little Lauren having fun. You know the white nightstand pictured earlier? 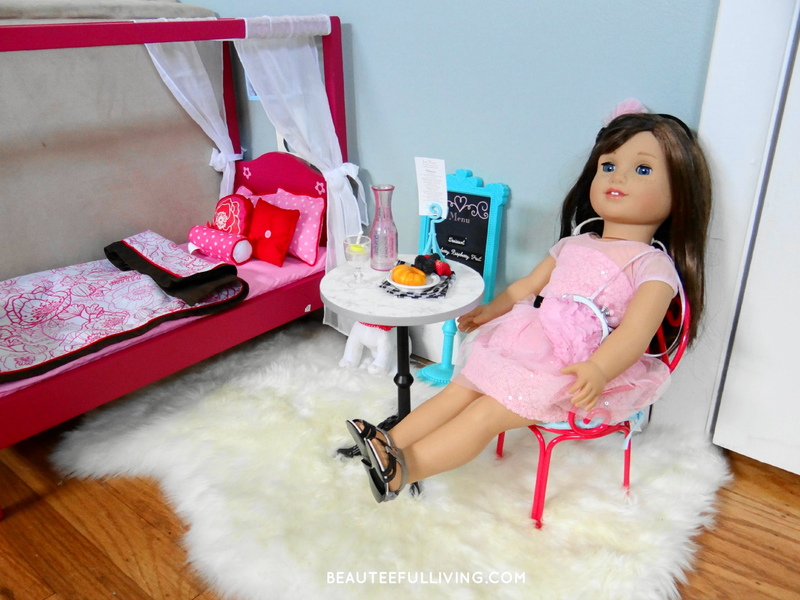 Well, open the doors and you’ll find doll clothes and accessories for Lauren’s Grace Thomas doll! Is it normal to be jealous of a doll’s wardrobe? You may be wondering why only 1 twin bed has been shown when there are 2 kids sleeping in this room. So, what about their stuffed animals?! 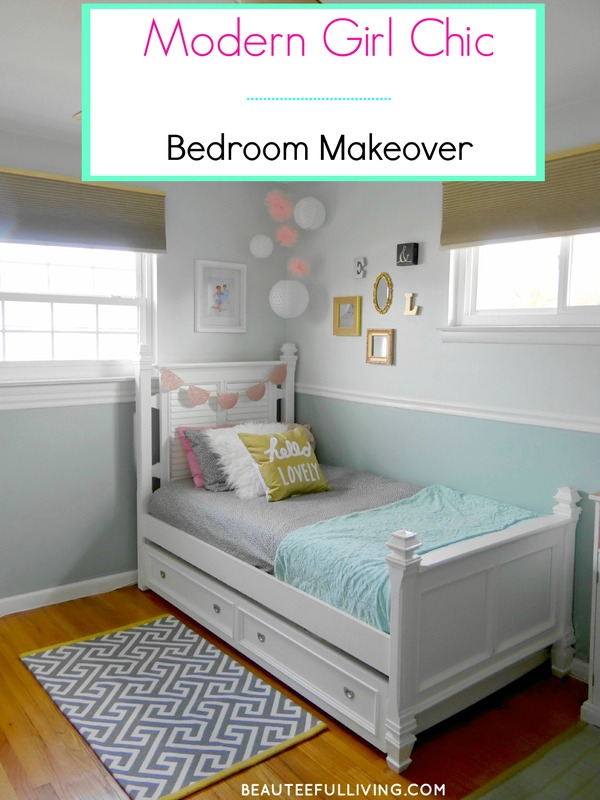 The 2 components that the kids would throw a fit if not included in their bedroom are…. 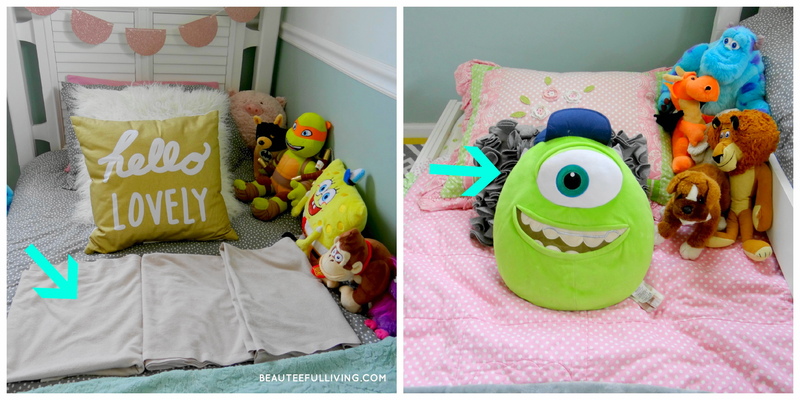 Ellie’s 3 Pottery Barn Kids pink blankies and Lauren’s Mike Wazowski pillow. 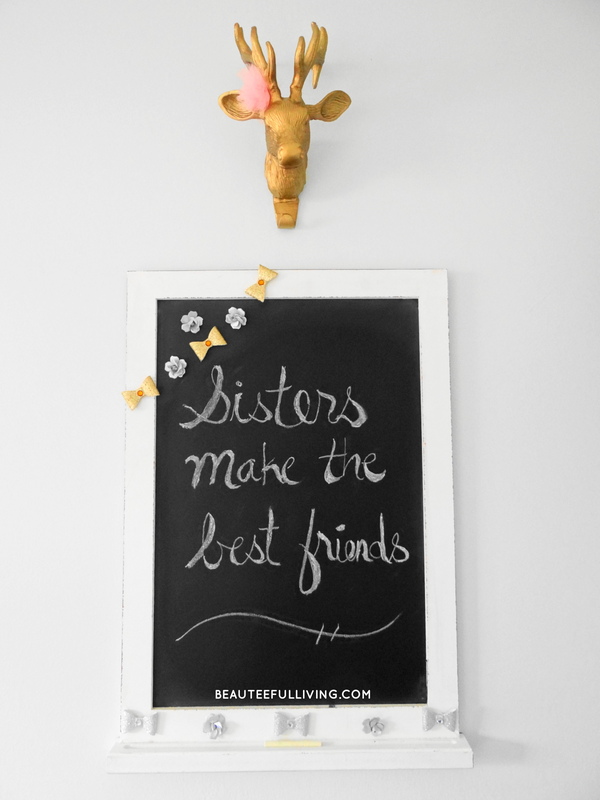 Wrapping up on this post… I hope my daughters become as close as my big sister and I are with one another. I also shared a bedroom with my sister, growing up in New York City. However, the room was half the size of this bedroom! Thank you for making it to the end of this photo-heavy post! 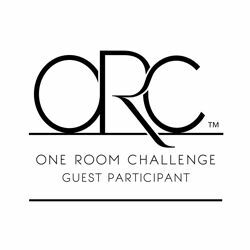 Big CONGRATULATIONS to my blogger friends and all those who participated in this edition of “The One Room Challenge,” hosted by the lovely Linda at Calling It Home. I know and can relate to all the hours and effort you have poured into your makeovers. Flowers for everyone!! Readers: You can see all the amazing makeovers HERE. 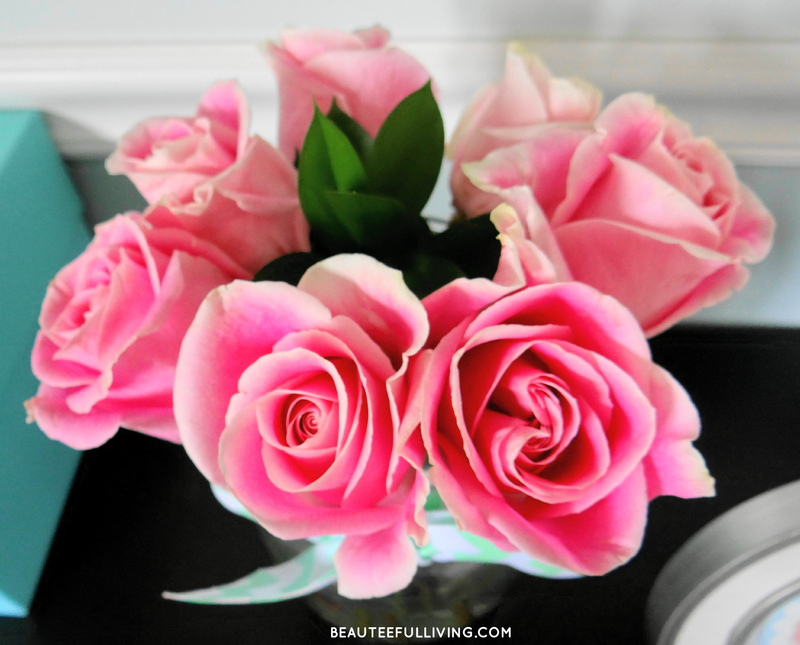 If you’re new to Beauteeful Living, I’d love for you to drop me a line and let me know you’ve stopped by. I love meeting new people and especially those who share the same creative passions! Beauteeful Living is on Facebook, Instagram, Pinterest, and Twitter. Subscribe through e-mail to receive upcoming tutorials on projects featured here. Do u care to tell me the paint colors? Hi Jan, thanks so much stopping by the blog. Those walls were painted almost 8 years ago when we started prepping for a nursery room. 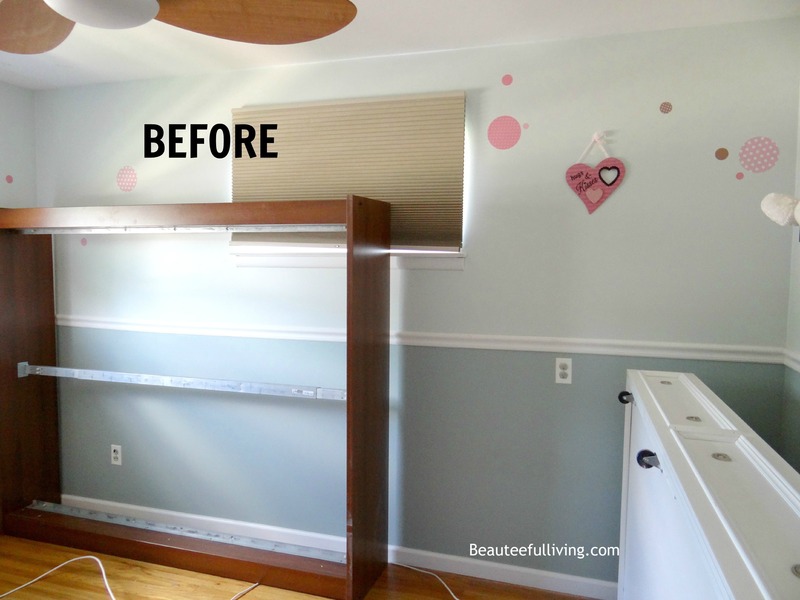 For this makeover, I was fortunate not to have to re-paint the walls. I wish I still had the names of the colors. We bought the paint from Sherwin Williams. Sorry, I don’t have exact names. Hopefully you can find some swatches from Sherwin Williams that you can match these colors with. Good luck with your project! 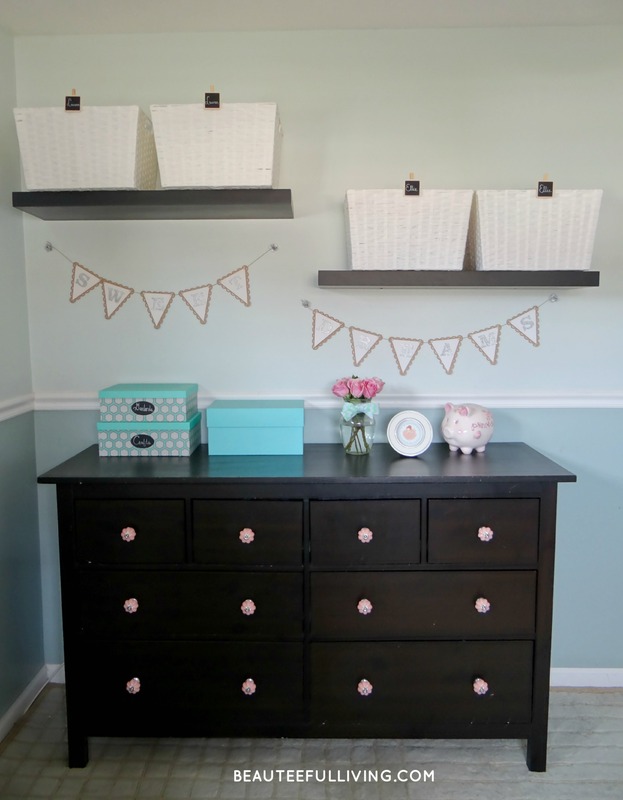 I love the way you put this room together! The colors are so soothing. Could you please share the name of the color of paint that is on the bottom of the walls please? Thank you! Thanks so much for your kind feedback! Those walls were painted about 8 years ago so unfortunately I don’t recall the names of the paint colors but I purchased the paint from Sherwin Williams. Hope that helps! You’ve thought of everything, she must be ecstatic! Great job! This is a wonderful room for your daughter. A place to play and read and have friends. Well done! My girls love American Girl dolls too though now they rarely come out since they are in high school. So so pretty! just enough and pretty color scheme! This is so adorable and definitely a chic girl’s room. I hope they enjoy this space for years to come. Great job. Thanks so much, Linda! Your feedback is much appreciated. Thanks again for hosting this challenge! This turned out so beautiful!. 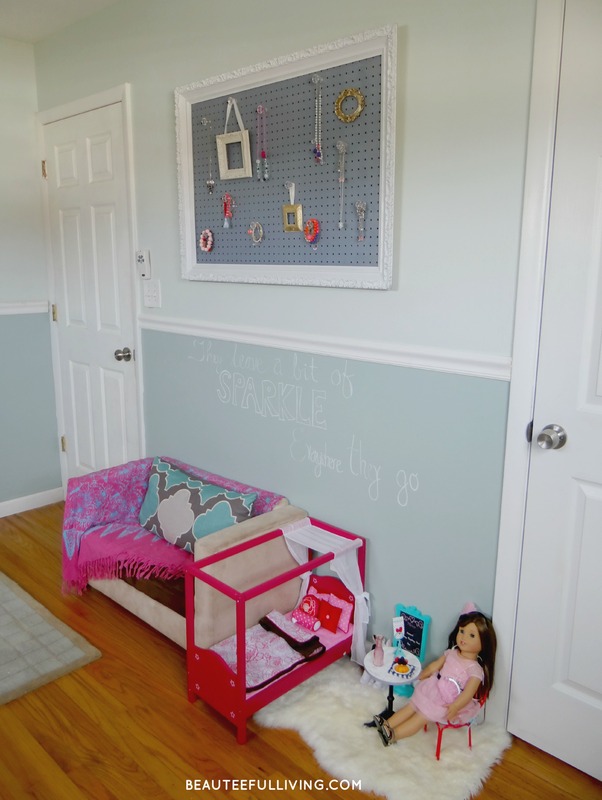 I love the gallery wall, peg board frame, the pillow and gold accents. Your daughter is so cute. Great chalkboard as well. I bet it was so much fun to do this room. Thanks so much, Tiffany. It was a lot of fun to do this room :). 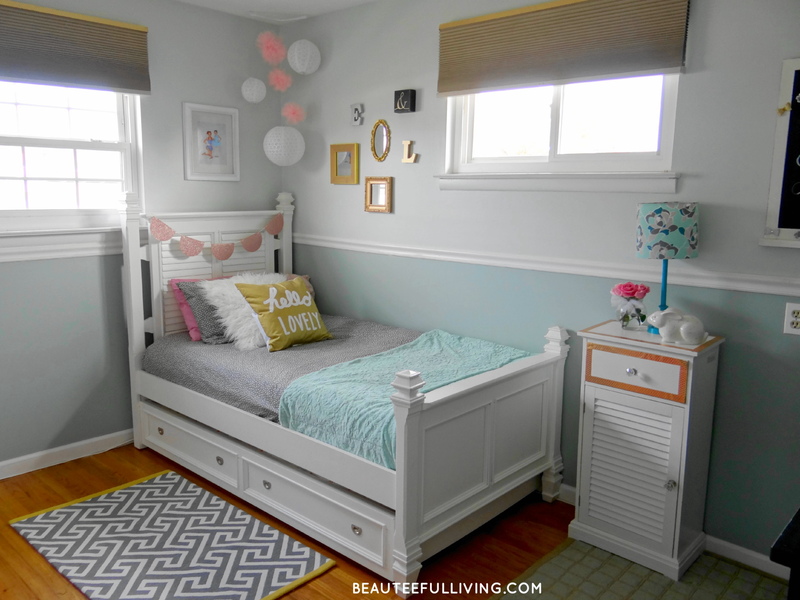 I love the trundle bed! I want to get one for my son’s room even though he’s an only child. The space is beautiful. I love all the pretty details. Oh, so cute!! You did an incredible job – such a transformation!! So very lovely! 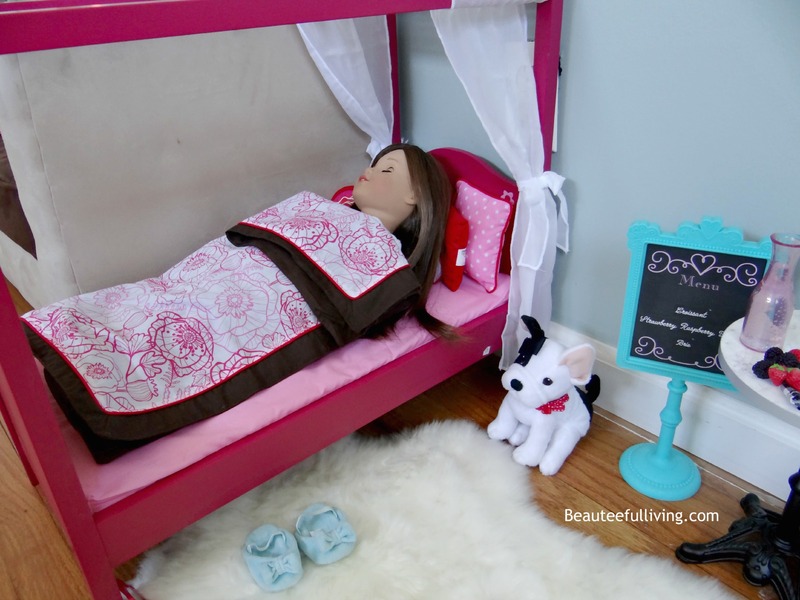 I especially love the bed, rug, and that little American doll setting :-). Thanks, Delia! That AG doll area is one of my fave aspects of this room too :). Thanks for commenting & for stopping by. I really need to do this one room challenge sometime, I wonder when the next one is? I LOVE that simple gallery wall on the side of the bed, and what a gorgeous bed. Also, my daughter loves AG dolls, too! Target just came out with a diner play set (the AG one is $250) and I got it for my daughter for her birthday. Thanks for sharing this!!! Hi Carrie, I hope you can participate next spring with me together! Link up on the 1st post starts on Thurs., April 7th. I love the play sets that they have at Target for 18 inch dolls. That’s awesome that you were able to get a diner set at Target. I bet it’s half the price of AG. Your daughter will love it, I bet! The girls’ room is so adorable! I love that they choose to share a room – my two girls will be moving into a shared room in a couple of months, and I’m so excited for them! I had to laugh at your stuffed animal dilemma as I know it too well! 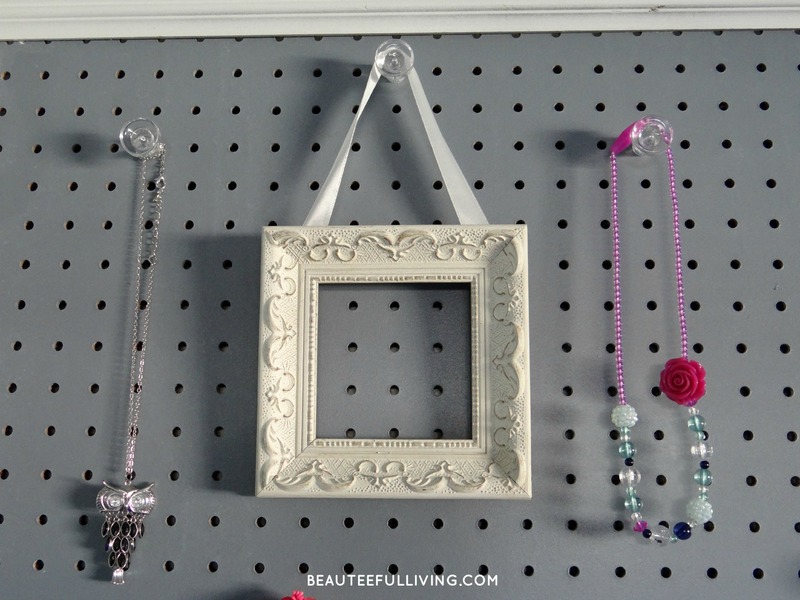 I love that pegboard jewelry organizer you made for them. It looks perfect for the space! Thanks so much, Jenny! 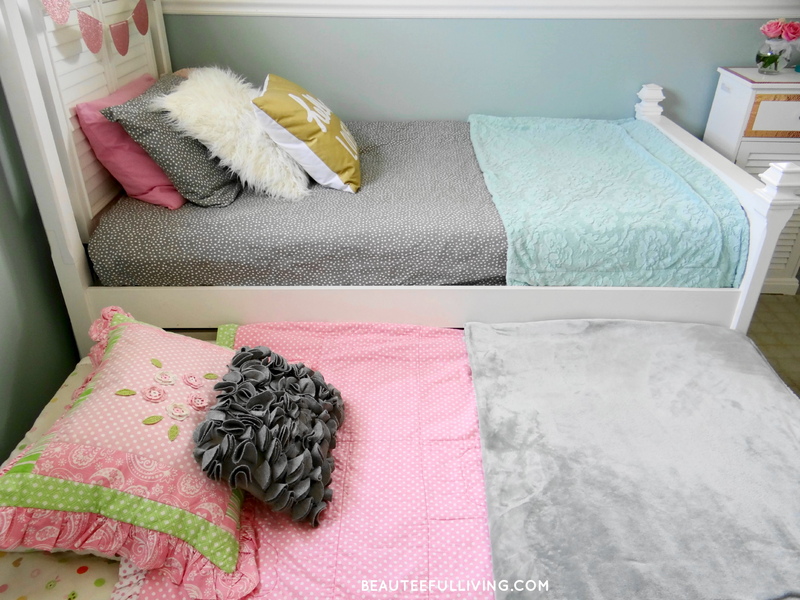 Aww, your girls will love having a shared space! I love it! I remember seeing your preview post a few weeks ago. You did a terrific job. It is both pretty and creates an abode of love for each of them. 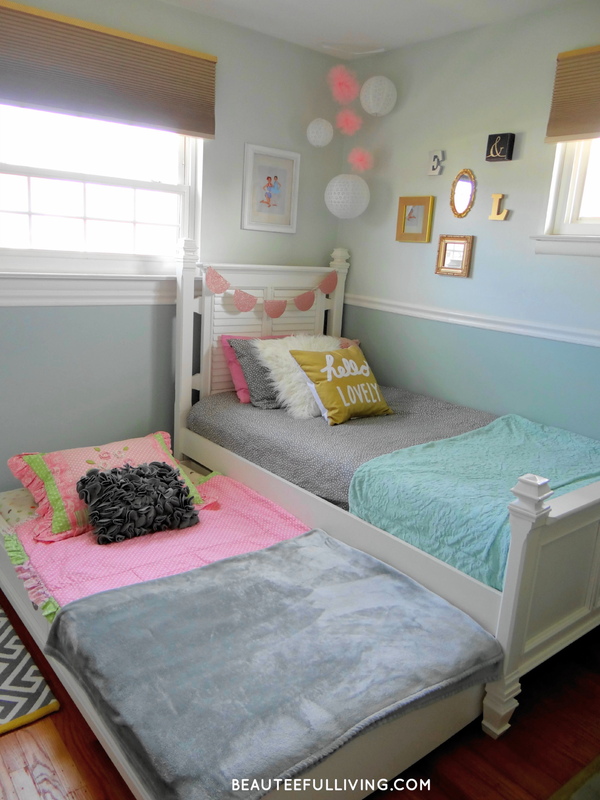 What a sweet room you created for your daughters!!! Beautifully done! WOW! Looks so great and fun. The pink flowers pop against the blue! LOVE. The touches of gold are perfect! Lovely job and I’m sure the girls love their new room! Great blog!! I loved it all especially your loving touches and quotes.. Adorable.. Need to steal that jewlery idea.. Can’t wait to get the 411 on that.. Love it!!! 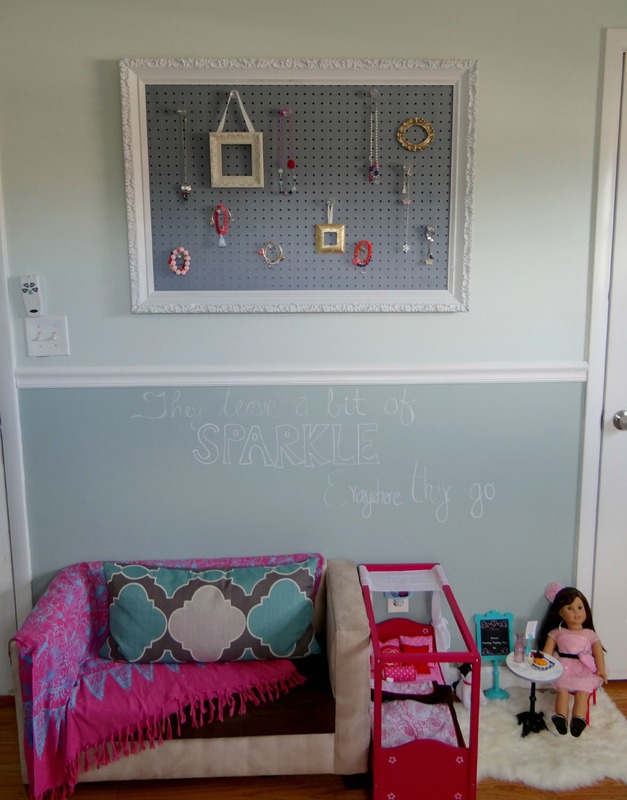 You created such lovely space for you little girls! It’s beautiful, Hope your girls love their new room! I so love this room! Very sweet. You had me tearing up over the picture of the little girl and your words – I feel the same way concerning my two girls. Lovely job, congrats! The room turned out wonderful. I love all the inspiring quotes. Thanks for keeping it real with the stuffed animals. I have four girls and I know this battle all to well. Such a lovely room. Great work! 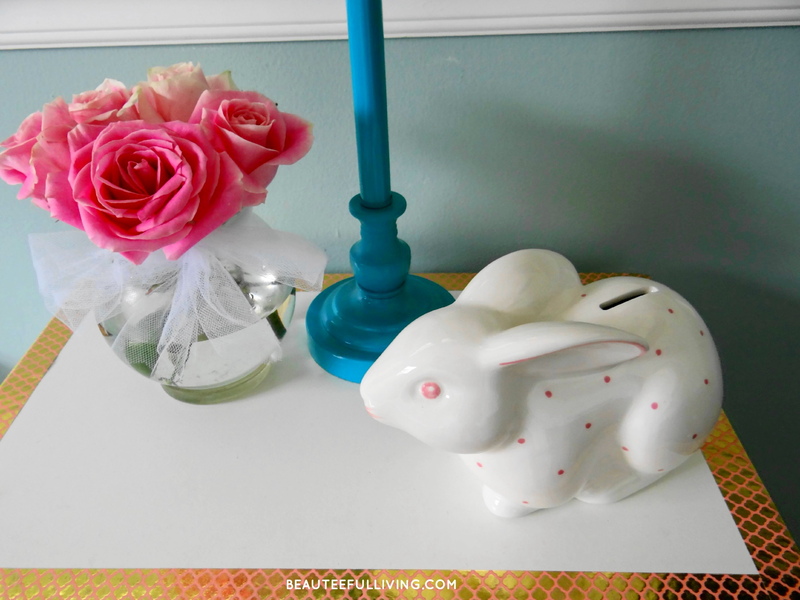 Your room looks great and so girly. I love the color combination you used. That mint color is beautiful. Looks amazing!!! Love the colors and all the details! Awesome job! It looks beautiful, just perfect for two little girls! I love it, great job! Something tells me the resident Princess must love her new room. They both do. Thanks so much! Such a great job!!! I especially enjoyed the part where you show the reality of the stuffed animals! Working on that dilemma right now. Currently, there is a strict no new stuffed animals band in my house. And I’m going to try in establish your 7 animal limit in the bed. Awesome idea!!! 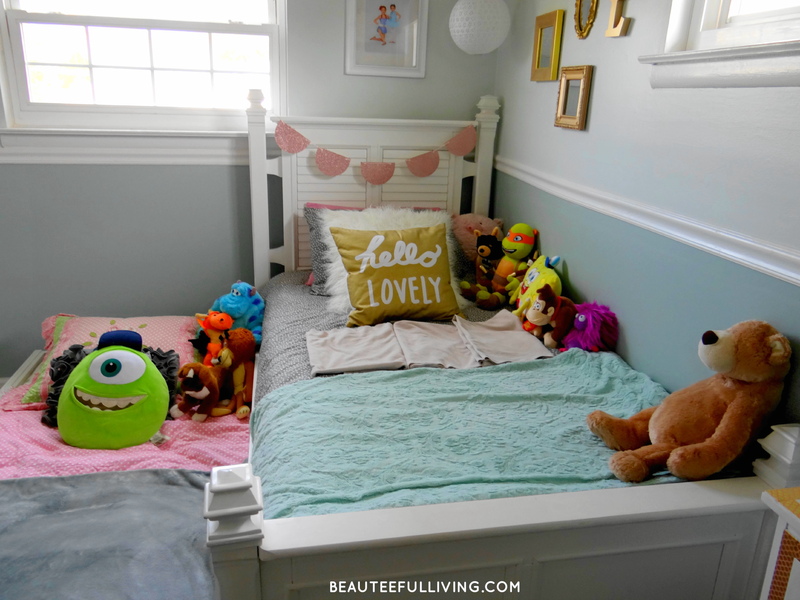 Beautiful room for girls! Your girls are very lucky! It’s so beautiful, I love all of your little details throughout! Great job! 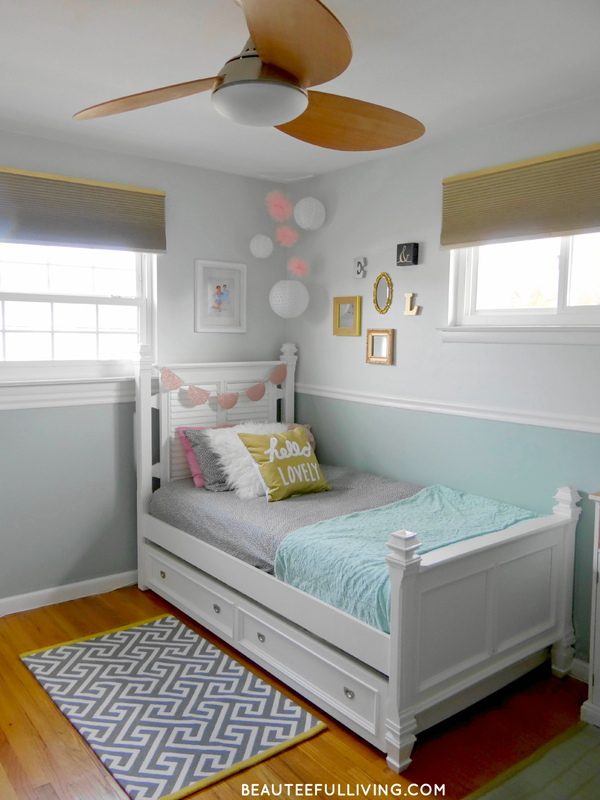 Tee, this is such an adorable little space! Every detail is so well thought out. Congratulations! Oh my goodness – it looks wonderful! 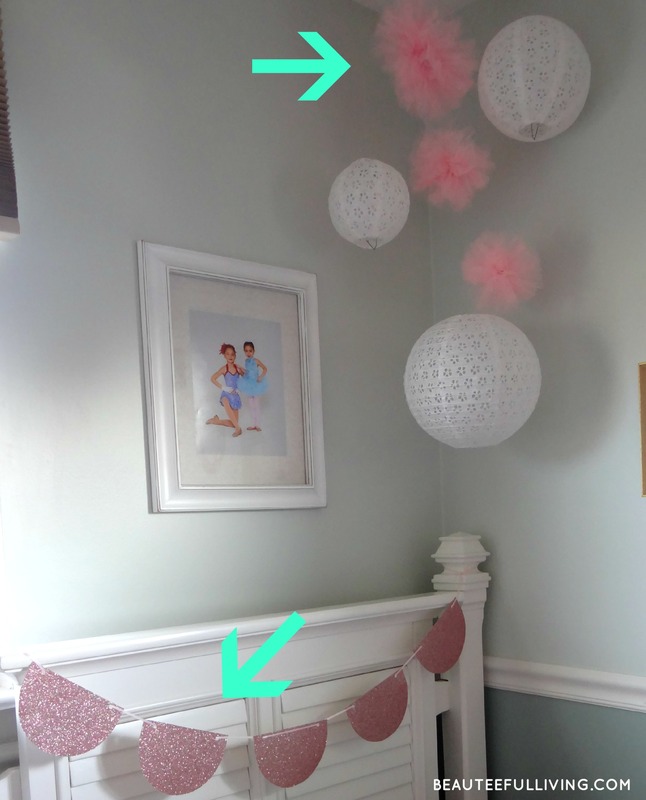 I love how you incorporated girlie accents that your little ones will love. This looks wonderful! I especially love the soft color palette. I’m sure your girls will love it for years to come!! Thanks, Teresa! I hope they do like it for years to come because there are other rooms to make over in our house :). Very sweet! 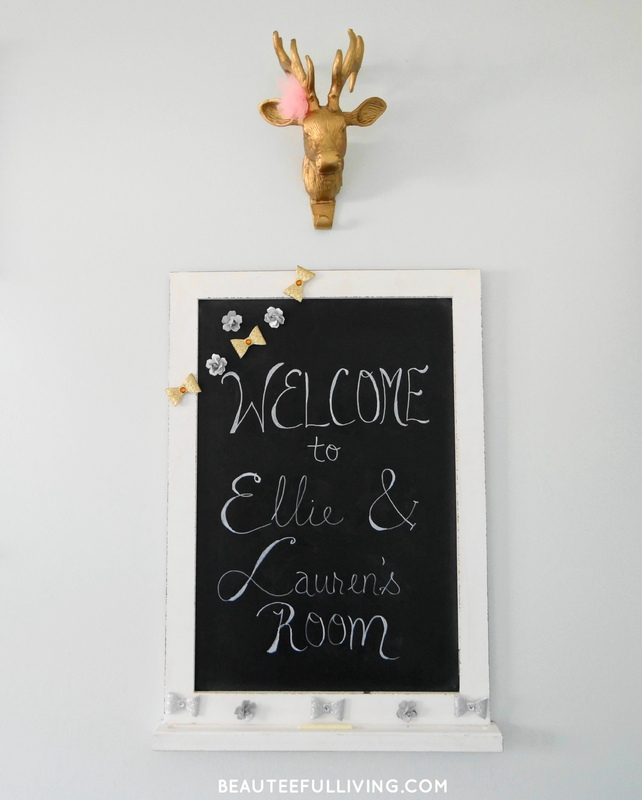 I love a shared room for little ones and I really like your overall palate and all the little whimsical details! You did a great job with the girls room! I shared with my sister until I was in the second grade:) Love the pretty pink and mint colors added in with the gray. Thanks so much, Sherry. I appreciate your comment & for stopping by. I am sure she loves it! what a wonderful transformation! Thanks so much. 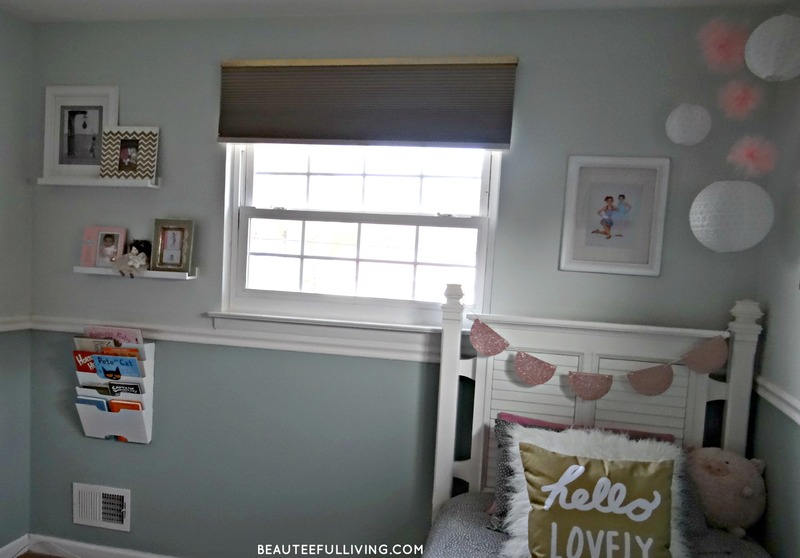 Loved your room reveal too! So great Tee! Lucky kiddo to have such a great room. It turned out so well – you both must be thrilled!! 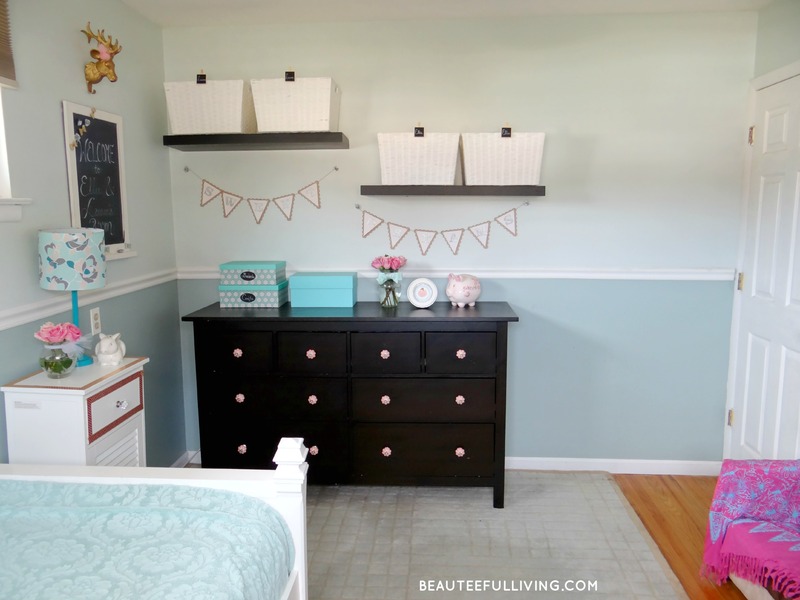 Your daughters’ room turned out adorable! I bet they love hanging out and playing in their room now! You added some really great finishing touches to the room! Great job! What a perfect room for your girls! I love all the inspiring quotes. 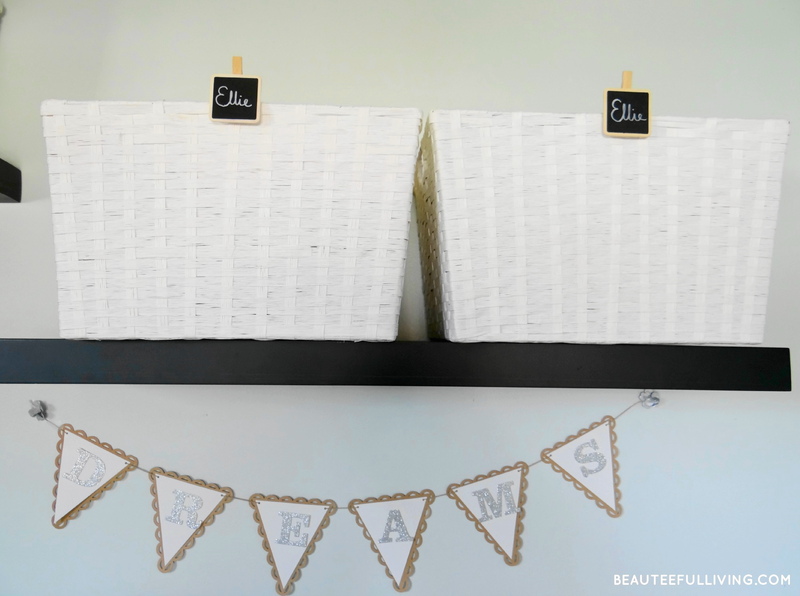 I am just finding out about all the wonderful things people do with washi tape… cute idea to outline the nightstand with it. I bet your girls are just loving their room (so cute they chose to stay together). It turned out beautiful, Tee! Love the jewelry board, and completely relate to being jealous of the AG wardrobes. Those dolls live better than most grown women. 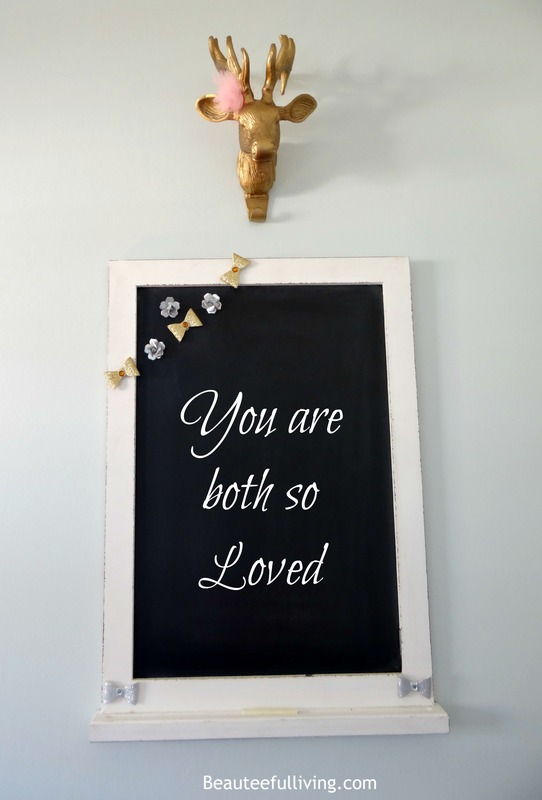 Your girls are adorable and congratulations on making such a sweet room for them! Aww, thanks so much for the sweet feedback! This is gorgeous! I love the color combinations. The accents of gold makes it feel very fresh, and that jewelry frame is perfect. You have two lucky girls! We did it, the one room challenge is done!!!!! Lucky kiddo to have such a great room. It turned out so well – you both must be thrilled! !